This is a wooden round shield beaten with steel. 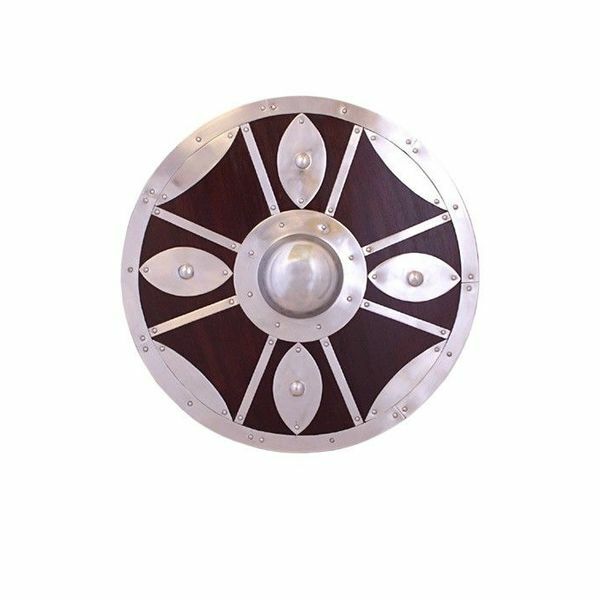 The shield is protected by 1,2 mm thick steel. It can be used during battles. 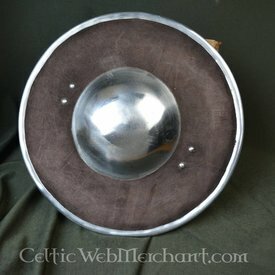 It has a diameter of 55 cm and weighs 3,2 kg.